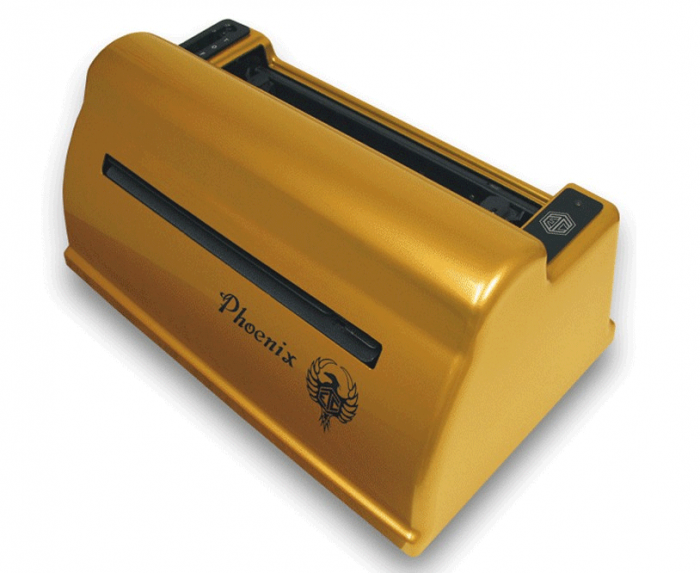 Phoenix is our ninth generation of Braille embossing technology that combines our durable and legendary Romeo Braille Dot with a proprietary 25 DPI tactile graphics embossing system. All in one embosser! Now, there is no longer a need to settle for poor quality Braille text to achieve high definition tactile graphics, as is the case with most other products on the market. Important Announcement! We are pleased to announce that the Phoenix has been newly designed. It has the same great features of the original Phoenix including the capabilities to emboss single-sided Braille text and high-resolution graphics up to 25 DPI, in a simple to use format. It even has the capabilities of embossing PRN files. The newly designed Phoenix is smaller and lighter, with an auto-install feature to make setup even easier. One embossing head produces high quality single sided standard LOC Braille AND Dynamic Braille Scaling (DBS). In addition to producing LOC Braille, DBS will allow you to produce Braille in other formats including Jumbo, Petite, CA sign, and Marburg. Printing Speed Text Side: Single Sided up to 50 characters per second. Printing Speed High Resolution Graphics Side: Up to two pages per minute. Paper Width: Adjustable 1.5 inches to 12 inches (3.8 to 30.5 cm). Page Length: Selectable 3 inches to 14 inches (7.6 to 35.6 cm). Paper: Continuous tractor feed paper. Paper Weight: 100-pound traditional Braille paper (recommended). Has 9 hammers(solenoids) per side, producing graphic or text Braille more efficiently. Width: 19.75 inches (50.17 cm). Depth: 11.75 inches (29.85 cm). Weight: 21 pounds (9.53 kg). Temperature: Operating or Storage: 35 F to 100 F (2 C to 37.8 C). Humidity: Operating or Storage: 10% to 95% non-condensing. Line Voltage: Universal, 105 to 260 VAC. Windows Operating Systems from Windows XP through Windows 7 64-bit and Windows 8. Computer with Windows XP or higher operating system. Braille translation software (with updated embosser support for Phoenix, check with your Braille translation software manufacturer for additional update information).